The relationship between parents has a profound effect on children. 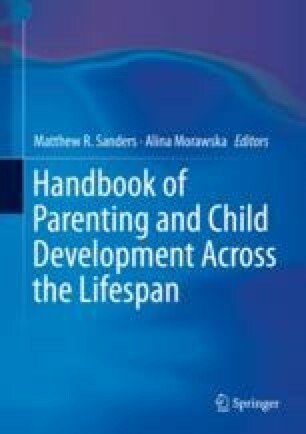 The current chapter includes a presentation of an ecological framework for understanding the interaction between parents’ relationship and parent–child relationships, and the range of factors that impact each of these family relationships. We then review evidence on the association of negative aspects of parental relationships, like high conflict and violence, with poor adjustment in children, and then examine the association of positive aspects of parental relationships, like intimacy and affection, with positive child adjustment. There is a review of evidence on the effects of psychological interventions to enhance the parents’ relationship and how they affect children. We conclude that attention to the parental relationship, particularly when it is highly conflictual, is important to enhance adjustment of children.